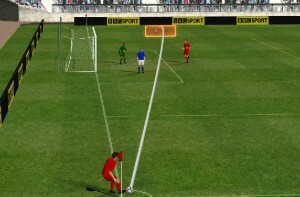 A corner kick: after leaving the playing area, play is resumed by a static ball, placed in the corner of the pitch, being kicked into the area near the goal, offering an opportunity to score. I risk once again falling into boring sporting anecdote – nevertheless I will press on. I was fascinated to see a sporting analysis of premier league football by BBC pundit Pat Nevin (an accomplished player in his time). He notes that the quality of corner kicking by players has declined in the past ten years or so. “Due to their overpaid status” I hear you grumble. Nevin’s analysis boils down not to the lack of application by players, poor technical skill nor rushing an important element of play in order to keep up competitive pressure, but something quite different (i.e. in Nevin’s observation, it is not the players who are the problem). 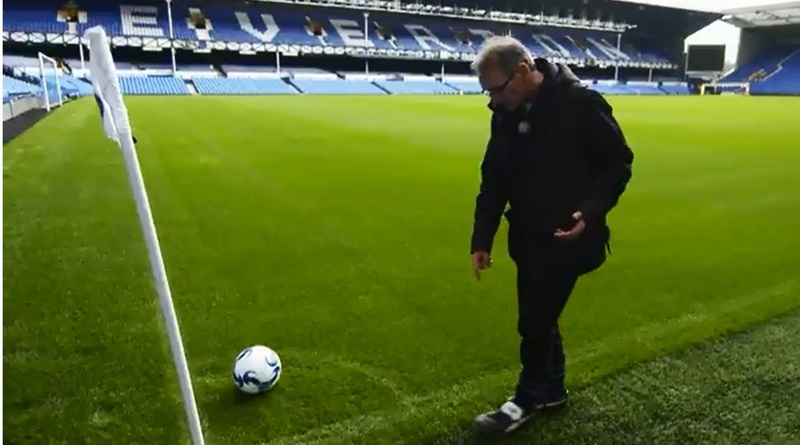 Nevin observes that now stadium pitches have synthetic grass to the side of the natural grass playing surface, right up to the line of the pitch ( left). This surface has been placed to allow TV broadcast camera cables and sound cables to run over the area (without ruining a natural grass surface), to provide a clean space for corporate sponsors and VIP visitors to make pitch-side visits (e.g. ‘stadium experience’ premium ticket guests), and as a dry warm-up surface for team subsitutes. The problem is that this mismatch of surfaces is difficult for a corner kicker to negotiate properly. Also the pitch side is often set as a downward slope, so that players have to run uphill towards the ball placed on the pitch. Essentially the system that the players are working in has been altered to the detriment of the game (the purpose of the football event – one would presume). Even the best people will struggle with these limitations. Interestingly André Schürrle (who set up Germany’s winning goal at the 2014 World Cup) innovated to overcome this problem by running down the touchline on the grass to get a consistent run up to kick the ball at an angle less than 90◦ from his body (a tricky, even dangerous, compromise). Similarly striking is Nevin’s identification of the solution to this problem. 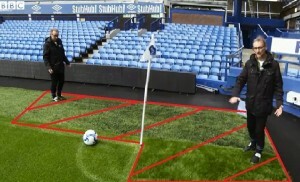 Replacing the plastic 3G ‘grass’ around the corner flag with a simple patch of natural grass would enable players to run up properly, without affecting the needs of camera cables or corporate visitors! This would hopefully make the delivery of the game (the purpose of the football event, surely) not only more precise, more competitive, with more action, but also more entertaining (for fans, TV viewers, VIP visitors and corporate sponsors no doubt)!